As the weather gets warmer, foods that are served cold and require little to no cooking become more appealing. In Japan the choice of such dishes goes way beyond a plain green salad. One of these is sashimi, a food that defines Japanese cuisine. While it’s eaten year round along with its first cousin sushi, a cool plate of sashimi is especially appetizing on a sweltering hot day during a typical Japanese summer. All kinds of food besides raw fish are eaten as sashimi, cut into thin slices and eaten dipped in soy sauce and condiments: tofu, yuba (bean curd skin), konnyaku (devil’s tongue), mushrooms and various vegetables. Outside of Japan, traditional Japanese cuisine has the image of comprising mostly fish and vegetables, so this enthusiastic consumption of raw meat may come as a surprise. But there is historical evidence that up until the Genroku era (1688-1703) of the Edo Period, when various edicts issued by the ruling Tokugawa Shogunate forbade the killing and eating of various animals, people ate all kinds of proteins. The spread of Buddhism did dampen the demand for meat, but there was no hard line drawn between cooked versus raw meat consumption. If someone was willing to eat a particular animal, they would eat it in any form as long as it was tasty. While the eating of animal meat in general went underground after the Genroku era edicts, fish consumption was never banned. So the sashimi that is most popular today — pristine, glistening pieces of raw fish presented artfully on a plate — evolved during the remainder of the Edo Period, which lasted until 1867. After that, meat consumption was openly embraced again, as it is today. Raw meat dishes are seldom prepared at home, however. Delicacies such as chicken sashimi are only available at certain specialized eateries, such as yakitori restaurants that kill their chickens in the morning for consumption that day. There’s always been an implicit trust in the ability and integrity of food professionals that they know how fresh and safe the meat is. But last year this trust was shaken to its core due to more than 35 E. coli food-poisoning incidents, including five deaths, caused by a dish called yukke. Originally a Korean dish that includes raw chopped beef and raw egg, yukke has become tremendously popular at the Korean barbecue restaurants that have been popping up all over the country. It turned out that Yakiniku-zakaya Ebisu, the restaurant chain that served the contaminated yukke, was using beef that was not designated as fit for raw consumption, and that furthermore had not been properly trimmed. 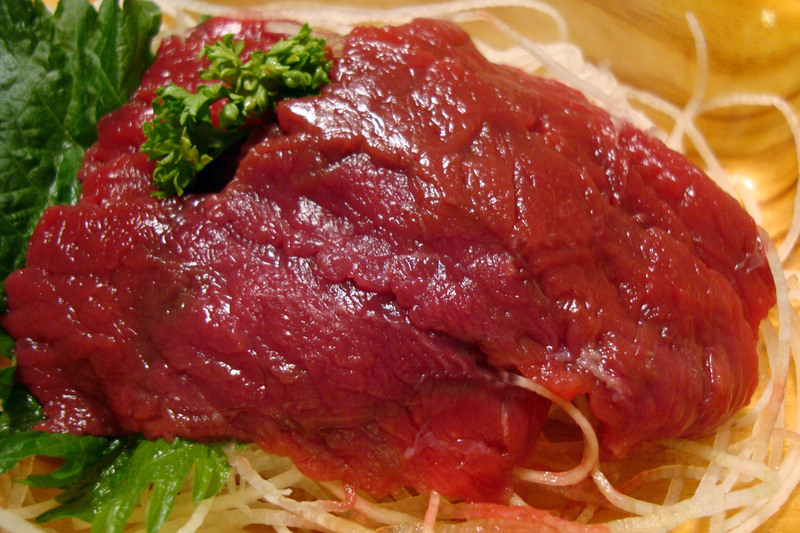 As a result, the government implemented more stringent regulations for preparation of raw beef. 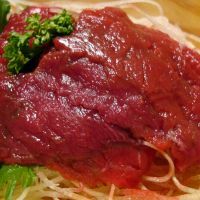 And earlier this month, the government’s Food Safety Commission announced that sales of raw beef liver will likely be banned from June, causing uproar among rebasashi aficionados. How concerned should you be about eating raw meat? The Food Safety Commission regularly issues information on its website (www.fsc.go.jp), and it recommends that all meats should be cooked thoroughly and not eaten raw, or even underdone. This is in line with recommendations made by similar government entities in other countries. Caution is prudent when it comes to raw or underdone meat, especially for those with a weakened immune system, the very young or elderly, or pregnant women. Personally I stay away from raw meat unless it’s at a reputable restaurant. You do get what you pay for when it comes to food, so if you’re eating cheap yukke at a cut-rate restaurant, you may be taking a gamble with your health. 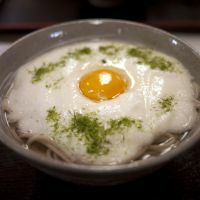 No such recommendations have been issued for other proteins that are eaten raw in Japan, including fish and eggs. 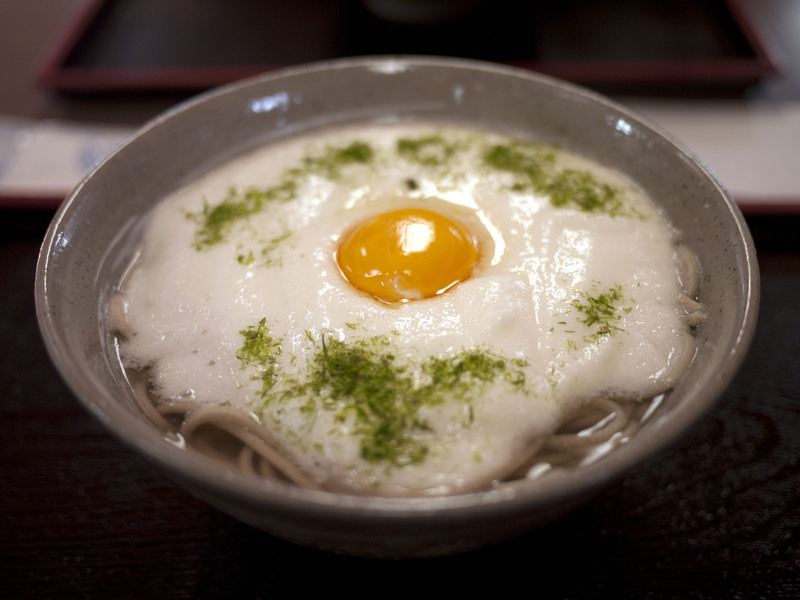 Raw eggs are an integral part of everyday Japanese food — mixed with hot rice and soy sauce for breakfast, served on top of cold noodles and used as a dipping sauce. If you do like your eggs runny, make sure you are getting freshly laid ones from a reputable source. 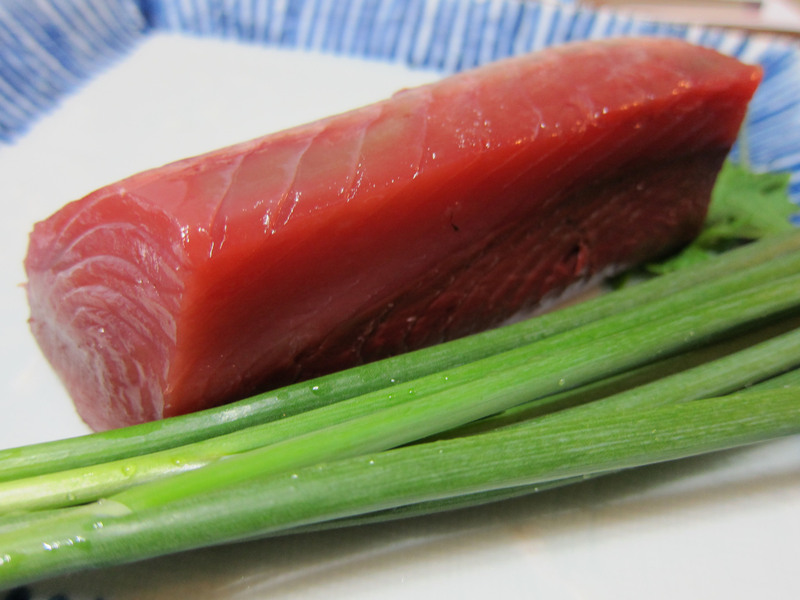 And see the recipe below for how to safely prepare raw fish for sashimi at home. I’m sometimes asked at what age young children can start eating raw fish. There is no hard and fast rule for this, and opinions in Japanese parenting communities vary from “as soon as the child can eat solid food” to “not until he or she is in elementary school.” You may want to restrict your toddlers to cooked or marinated sushi items such as tamago-yaki (omelette), ikura (marinated salmon eggs) and ebi (boiled shrimp), and gradually ease them in to raw fish. But raw or undercooked protein is not necessarily the culprit when it comes to food poisoning. Some of the most serious large-scale food poisoning recently, including the E. coli outbreak in Germany last year that caused dozens of deaths, were caused by contaminated vegetables such as sprouts and spinach. As consumers, the best thing we can do is to make informed dining decisions, and keep our kitchen prep areas safe and clean. Here are some tips to prepare a plate of delicious and safe sashimi at a fraction of the cost of eating out. You can buy ready-to-eat sashimi platters at any supermarket or department store food hall, but you get the most value for your money if you buy trimmed sashimi-ready blocks of fish called saku. Not only are they better value, they also stay fresh longer because a larger piece of fish has much less surface-to-air ratio than small pieces. Sashimi should be consumed on the day of purchase. (Leftover saku can be frozen for up to a month.) Blue-skinned or silvery fish such as aji (Japanese jack mackerel) are only sold whole and need to be gutted, and ika (squid) needs to be gutted and skinned, so if you’re a sashimi beginner, stick to the fish available as saku. 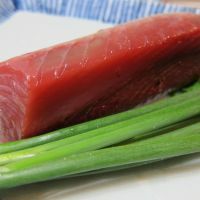 Choosing just one kind of fish is fine, but for color and variety select at least one red-colored fish such as maguro (tuna) and one white fish such as hirame (fluke). The fish should look moist and fresh but there should be no red liquid seeping from it. Prepare the condiments and garnishes before you tackle the fish. Grate fresh wasabi root on a very fine-toothed grater. If preparing spring katsuo (bonito), which is in season right now, grated ginger root or raw garlic are preferred over wasabi. Finely chopped green onion can also be used. Wash the shiso leaves and arrange on a plate, and finely julienne the daikon radish. You can also buy prepackaged garnish or tsuma sets. Take out the fish just before you’re ready to cut it. Prepare a clean cutting board (preferably not one you’ve use to prep meat or vegetables), a clean, sharp sashimi knife and a clean, moistened and wrung-out kitchen towel. If you don’t have a sashimi knife, any pointed-end kitchen knife will do, as long as it’s very sharp. Lay the saku on the cutting board, moisten the blade of the knife with the kitchen towel, and slice through from top to bottom using one smooth stroke. Don’t saw through the fish or the pieces will be ragged. To prevent the fish from sticking to it, periodically wipe off the blade with the wet kitchen towel. Arrange the sashimi pieces attractively on a platter with the garnishes and small mounds of the wasabi, ginger, garlic and green onion, depending on the fish. Serve immediately, with soy sauce in small dishes for dipping. Put a little bit of your chosen condiment on the fish slice before dipping it into the soy sauce. If you prepare the sashimi in advance, it must be well covered and refrigerated.